Jennifer Steil is an award-winning American writer, journalist, and actor currently living in La Paz, Bolivia. Her debut novel, The Ambassador’s Wife, was published by Doubleday on July 28, 2015 to critical acclaim. The Ambassador’s Wife won the 2013 William Faulkner-William Wisdom Creative Writing Competition Best Novel award and has received considerable critical acclaim, notably in the Seattle Times, Publishers Weekly, and The New York Times Book Review. Her first book, The Woman Who Fell From the Sky (Broadway Books, 2010) is a memoir about her tenure as editor of the Yemen Observer newspaper in Sana’a. The book received accolades in The New York Times, Newsweek, and the Sydney Morning Herald among other publications. The Minneapolis Star-Tribune called it one of the best travel books of the year in 2010, and Elle magazine awarded it their Readers’ Prize. National Geographic Traveler includes the book in its recommended reading list. It has been published in the US, Australia, New Zealand, Germany, the Netherlands, Italy, Turkey, and Poland. Her freelance work has appeared in the World Policy Journal, Die Welt, Vogue UK, the Washington Times, The Week, Yahoo Travel, Time, and The Rumpus. Wow...just, wow! That's what I thought when I finished reading The Ambassador's Wife: A Novel by debut novelist Jennifer Steil. Follow the story of artist Miranda, an independent and unique woman, who falls in love with Finn, a British ambassador. The couple and their small daughter are assigned to Mazrooq, a fictional country, but one that embodies much that is familiar about many of those in the Middle East. Miranda is overwhelmed by her loss of freedom, even though the family lives in a beautiful mansion and is surrounded by servants prepared to satisfy their every whim and desire. And when a terrorist act leaves her as a hostage, the entire family's very existence is suddenly at risk. Even though she lives in terror, Miranda develops a close relationship with a child also living in captivity, and through memory and introspection about her life, realizes that her relationship with Finn and the secrets they have kept may have led those they love into danger. I so loved The Ambassador's Wife. Author Jennifer Steil has done an amazing job in developing characters that her readers will truly connect with, root for, and will continue to think about long after the book is finished. If that isn't the hallmark of a great author, I'm not sure what is. Her ability to set a scene is absolutely second to none. Her readers will feel as if they are in the Middle East with Miranda, living through captivity with her. 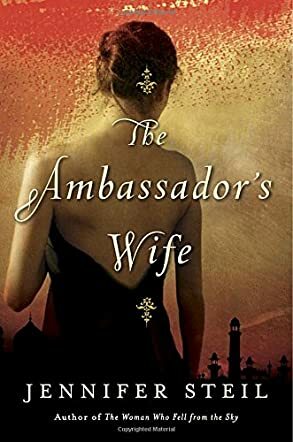 Any reader who loves fiction, stories with a strong female protagonist, or simply a great read would love The Ambassador's Wife. I highly recommend this book, and I will certainly keep my eye out for more books by Jennifer Steil. This up and coming author is one to watch!